Guest rooms are spacious, traditional in decor and comfortably designed with expanded writing surfaces, ergonomic desk chairs and flat-panel TVs. The spacious lobby features a bistro. The small fitness center provides enough equipment for an adequate workout. Ivy-covered walls surround the pool area. Smoke free premises. 112 units. 4 stories, interior corridors. 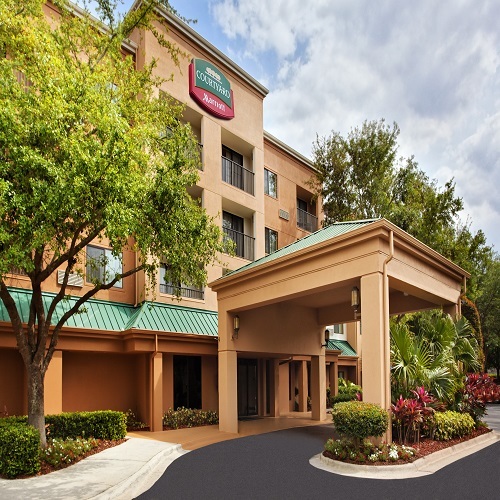 I-4 exit 90B, 0.5 mi w to Keller Rd, just s Pembrook Dr, then just w. 1750 Pembrook Dr 32810.
complimentary and valet laundry, boarding pass kiosk, area transportation-within 3 mi.